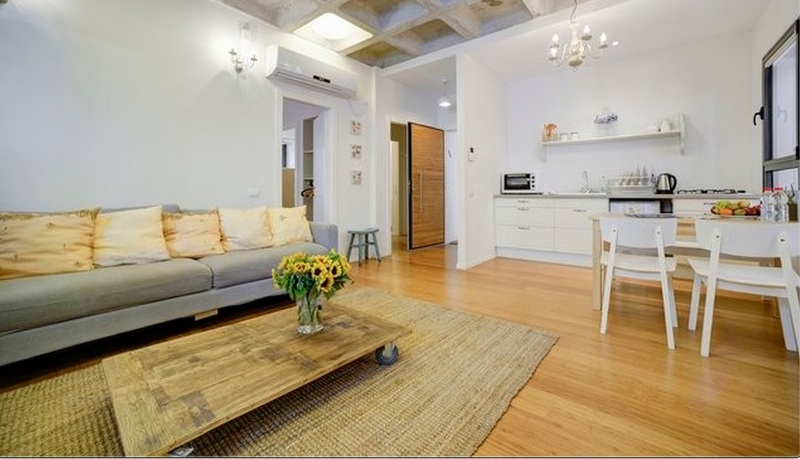 building in Neve Tzedek a trendy Tel Aviv Neighborhood. 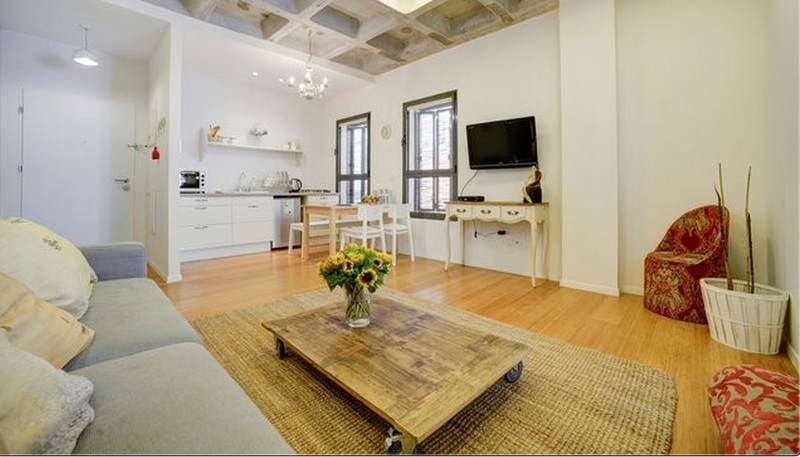 Situated in the south of the city, the apartment is part of a beautiful restoration project on Lilienblum Street, in the heart of Tel Aviv’s Rothschild Boulevard & Neve Zedek with many great restaurants, galleries, shops, cultural events. 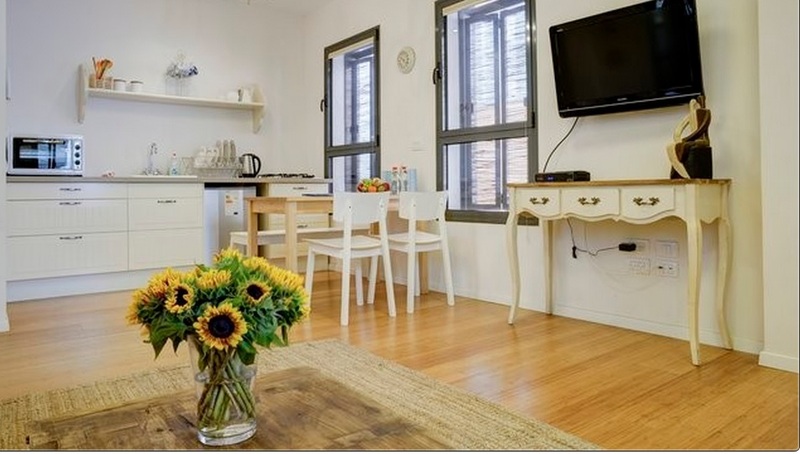 Many of Tel Aviv’s most popular bars and restaurants are nearby so daytime activities and nightlife in the area are excellent. Well served by public transport. 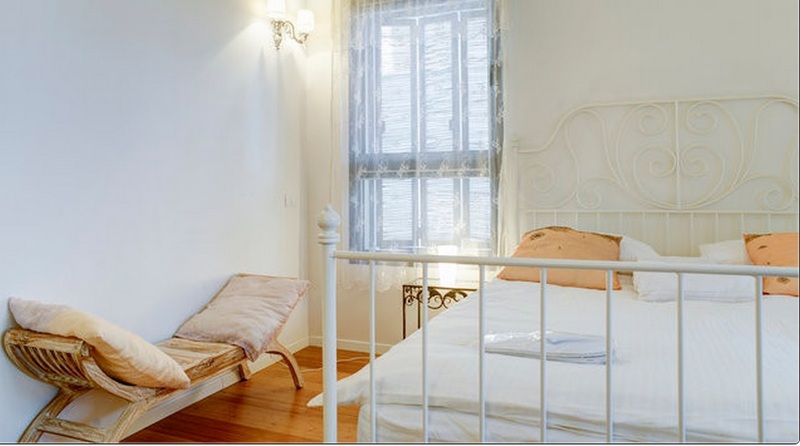 It is less than 10 minutes walk to the beach, Carmel market, Florentin and the city center. 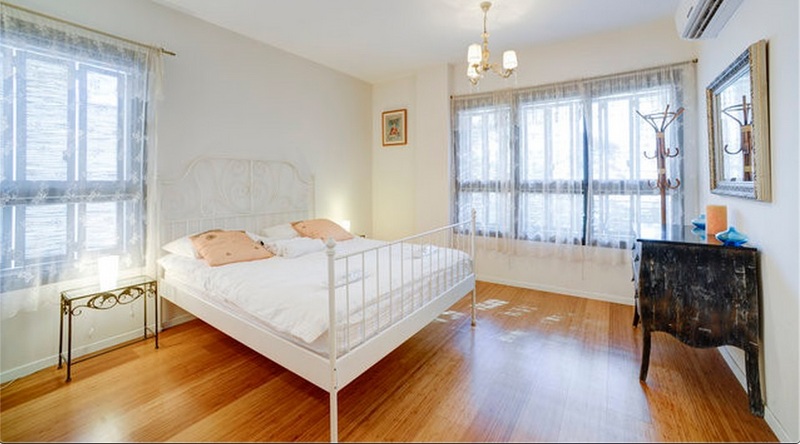 The apartment has 2 large bedrooms, with double and twin beds, 2 bathrooms, open plan kitchen & living room. 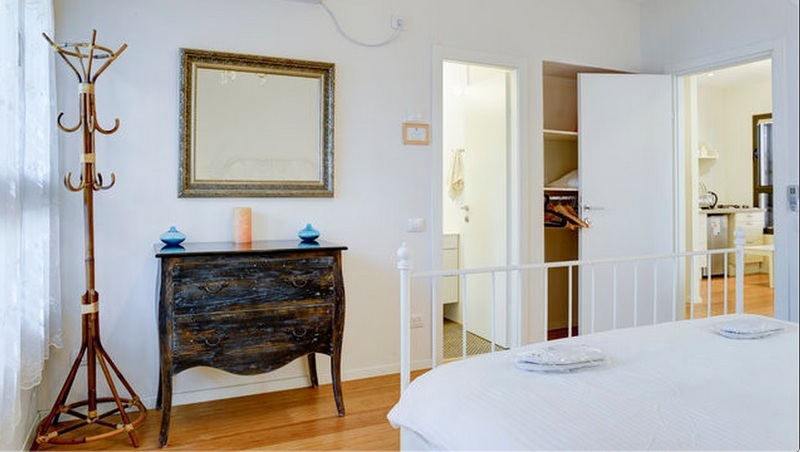 The apartments have large windows, a unique style and are fully furnished. 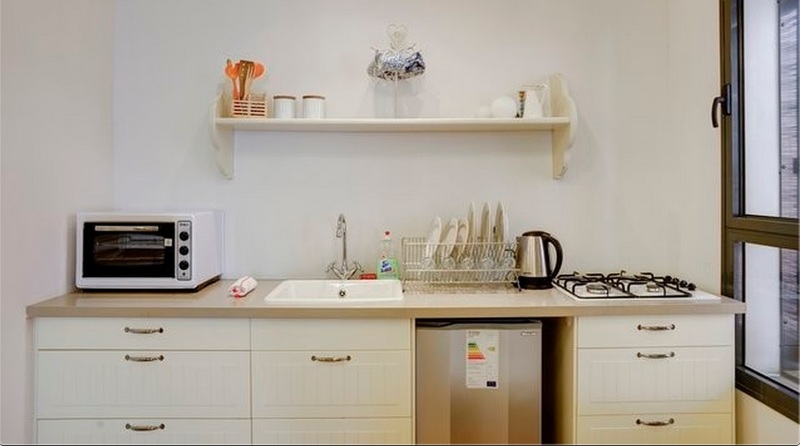 Towels,hairdryer , sheets & wifi provided. There is a sofa bed in the lounge for extra guests. 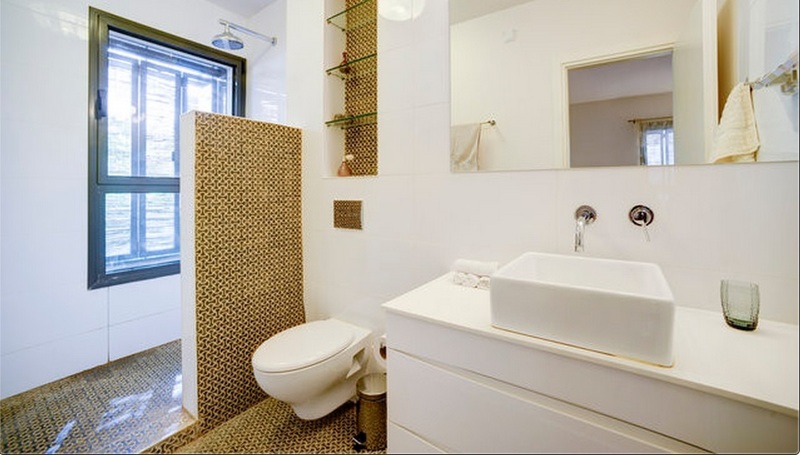 There is also an option to rent this apartment as a one bedroom unit. 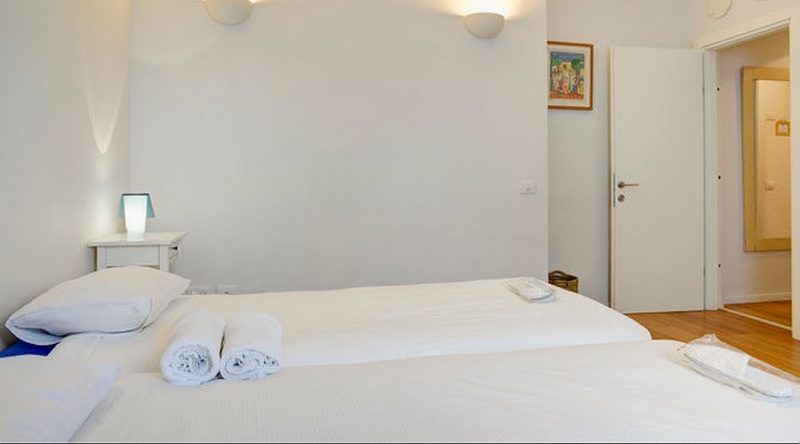 – there are 3 great apartments in this building and we often upgrade guests if we can There is a wellbeing centre in the same complex, with daily classes, also in English, and special offers available to guestsAdditional services including Israeli breakfast, cleaning, laundry, bicycle renting etc are also available.